So you want to write a business plan. Or just a smart guy or gal having a wee look at what business plans are all about. Well – first of all, welcome. And congratulations on taking this step! Business plans can seem intimidating and so many entrepreneurs skip this step just to regret it later. But not you, my friend. Not you. Now, let me tell you what you’ll get out of this post. 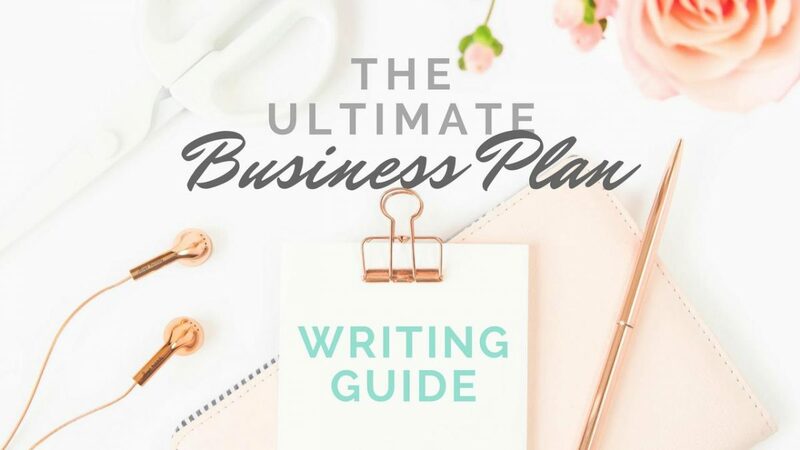 Ok, now that you know what to get out of this post as well as where to get your copy of our free workbook, let's get started on how to write a business plan. Why should you write a business plan, anyway? to help yourself and your team plan ahead. If you need a couple more reasons to write one, check out our post "Why should I write a business plan?" What even is a business plan?! We congratulate you if you're asking this question. Always start from the basics and understand how you relate to the purpose of what you're doing. Awesome. A business plan is a formal documentation of your business goals, how they can be achieved, and other information relating to the attainment of the goals. And now, we'll go through each of the above sections in detail so that you can write a smashing business plan, too! The executive summary section outlines the most important aspects of your business and what’s included in the rest of your plan. For those seeking investors, the summary is a critical ‘first impression’ page that will either intrigue the potential investors to read further or switch off. This is best written last, after you’ve completed the rest of the business plan. You’ll be able to write in more detail about your business in the next section. Here, you’ll provide a brief overview of your business. In the simplest way, what is your business about and what does it do? What is your mission statement – i.e. what purpose does your business serve? You’ll have a chance to explain more about your product in a later section. Here, give a brief introduction about what you’re selling. What is your business selling? Why is it special? You’ll have a chance to explain more about your market in the marketing section. Use this space to briefly describe your customers. Who wants your products or services? You’ll be able to provide an in-depth overview of your finances in the finance section. Here, outline the important financial information for your business. How much do you need to set up/run your business and how much do you expect to make? This section provides information on the core components of your business, including ownership details, business structure, employees, and other operational details. This component of the Business Details section explains how your business is set up and structured, and what kind of work is expected from those involved. Explain who you are and what you bring to the business. If you have (or plan to have) business partners, explain the business structure and briefly describe your partners, their backgrounds and involvement as well. Depending on your business model, you may have an ABN, ACN, or both. Provide any relevant registration details and other required license(s) for your industry or profession. If you don’t have the required registrations yet, find out what you need and list them. This is where you consider the location of your business and how it can contribute to the running of your business. Explain where you’re located or where you plan to set up your business. Describe the premises and area in terms of their size, surroundings, and convenience (e.g. public transport access and parking). 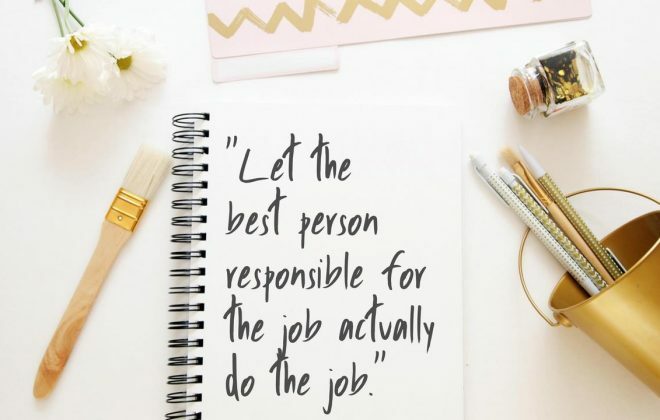 Here, think about who you have or need in your team and the responsibilities they might have. *Solopreneurs, don’t skip this section! Use this section to consider what tasks and duties may be outsourced to contractors or other systems. Describe your current or future team. How many people are required and what responsibilities do they have? How important are they to your business? Remember, even if you CAN do everything yourself, knowing how to distribute work is an important skill. Your business will make its money by selling a product or service. As such, it’s important to think about exactly what you’re selling and for how much, and why the product exists. Use this section to consider your products and services in depth. This section is all about the products or services that you currently have or are developing. When completing this section, consider your products from the customers’ point of view. What are your main products or services – current and in development, and their price? Why are they priced the way they are? The products or services that you sell should ideally respond to a need or demand. What problem do they solve and what need do they satisfy? In other words, what kind of value do your products or services provide to your customers? What is unique about your products or services that your customers would choose them over others? What is the anticipated demand for them? How will they get managed? What processes are involved in the production and delivery of your products or services? Do you need any suppliers and do you have a backup plan? How will you maintain its quality? The market section of your business plan is about your current and potential customers. It details your market research findings – who your customers are, where they are, where they buy your products and services, and what entices them to let your business solve a problem they’re having. It also outlines your marketing targets/goals and the strategies that are being and will be implemented to meet those targets. This section also explains how you plan to maintain or improve your position against the competition. Now, this might all sound quite intimidating, but don’t worry. To put it in simple terms, the marketing section of your business plan is all about knowing WHO you’re selling to. Knowing your target market allows you to direct all of your business activities TO a specific audience. This saves time and money as you’re speaking to an audience that wants to hear from you, instead of exhausting your marketing budget on a broader network who may not be interested in your products or services at all. Don’t be put off by these words! Depending on your business, your market analysis might be as easy as a few vigorous Google searches! Here, you’ll consider the market you’re trying to enter in order for your business to survive and hopefully thrive in it. Tell me what you know about your market. Do you know how big the market is in terms of its volume and value? What drives the demand for your products – i.e. Why are your products wanted? Are there any noticeable trends in the market in terms of its growth and how do you think this will affect your business? Anything you need to worry about? While some markets may stand the test of time and advancement of technology, some may find their position shaky in changing environments. Are there any identifiable limitations or issues in your market, and in what ways do you expect the market to fluctuate? Within your market reside your customers. In order to communicate with and provide value to your customers, you need to first be able to know who they are and what they want. This allows you to grow and move with your customers and develop your business and its products to respond to a problem that your customers want solved. Who would buy your products? Consider the type of person/group that would find your products useful and enticing. While we would all like to say, “everyone would like my products!” that’s generally not the case. When trying to please everyone, you risk losing the thing that makes your business unique. There is also a balance between what you WANT to sell, and who would receive it positively. At the end of the day, you wouldn’t want to produce things that you’re not passionate about! No idea who would buy your products? Search for them using hashtags on social media, ask your friends and family, and do a few simple Google searches. Who’s talking about them and who has reviewed them? You’ve considered what type of person or group would buy your products. Now, tell me, who would be THE perfect customer? Describe them in terms of who they are, what they’re like, what they find interesting and why they do what they do. Often, it’s a useful exercise to create a specific customer persona so that you can picture them in your head whenever you’re producing marketing or advertising materials. What’s his/her name and how old is he/she? For more guidance creating your ideal customer profile, get our FREE Ideal Customer Marketing Strategy Workbook! From there, you can create up to 3 different customer personas that are print-ready so that you can stick them on your desk and refer to them whenever necessary! Now that you know who your customers are and what they’re after, consider how you can use this information to best reach them. Think about where they spend their time – online or offline. Will you be able to reach them more easily on Facebook and Instagram or via posters in alleyways? This is the basis of your marketing strategy that we’ll expand on later. It’s all about taking your business to where your customers are at! How will you keep them around? It’s true that it costs considerably more to get new customers than to retain existing ones, which means that once you’ve got your customers’ attention, you need to work on retaining them. What kind of relationship should you have with them in order to keep them around without annoying them? How should you structure your customer support? If your business allows for a more intimate relationship with your customers, how often should you check up on them? Unfortunately, your marketing strategy isn’t just about the market and customers. You also have to watch out for your competitors! In this section, consider your position against your competition and compare the aspects of the business that may set you apart. Search for relevant keywords on Google and see who comes up. Search hashtags on social media to find out who’s active or popular. Find relevant forums or Facebook groups and see who people are talking about. Ask friends and family if they know anyone who’s doing what you’re doing! List your top 5 competitors. Knowing what your competitors have to offer to the same market that you’re in, consider how your business can stand out against them. We’ve talked about what makes your business unique. So, how can you emphasise your unique points so that you have a competitive advantage? Explain your point of difference and how it will help your customers consider you against the competition. At this point, you might be wondering just what your business brings to the table that your competitors don’t. Don’t let it get you down! If everyone gave up on a business idea just because someone else is already doing them, then we won’t have the variety that we see in the market. Your competitive strategy doesn’t always have to involve something that’s out-of-this-world unique. It could be in the quality of the product or in your approach to customer service. For example, you could stand out by offering an intimate and homey customer relationship style, if most of your competitors have a big-company corporate feel. Considering such internal and external factors that affect your business is a critical part of your marketing strategy. This allows you to look out for positive factors that you can take advantage of, and plan ahead to minimise impact from the negative factors. For example, if the stability of your business depends on an external system/software, you may want to consider a backup plan. List your strengths, weaknesses, opportunities and threats. It's a good idea to download a worksheet here so you can organise them in a more coherent manner. Grab our FREE SWOT Analysis – Categorical worksheet that allows you to consider the SWOT points for each category of your business. Now we’ve arrived at the final part of the marketing section! This is where we put to use all the information we have gathered so far. We know the market, the customers and the competition – So, knowing what we know, how will you market your business? What marketing activities will you participate in? Considering where your customers are and what they like to do/read, what kind of marketing methods will be most effective in reaching them? The methods you choose vary significantly on the audience you’re trying to reach. For example, if your target audience is young teens and 20-somethings, you may want to focus on building a strong social media presence. On the other hand, if your target audience is people in their 50s and older, you might want to develop a brand approach that is more caring and personalised. While a lot of us often use “marketing” and “advertising” interchangeably, advertising is just one part of the broad marketing umbrella. For example, building a strong social media presence is most definitely a marketing strategy, but not necessarily advertising. List the advertising methods you want to use and consider the required or expected budget. How will you sell your products or services? Once your customers know about your products through your marketing activities, how will you sell your products and services to them – i.e. What is your sales strategy? What sales channels are available for your business? These channels include a physical store, an online shop, export, wholesale and more. Outline your sales channels and explain why you’ve chosen them as the most effective and sensible option for your business. 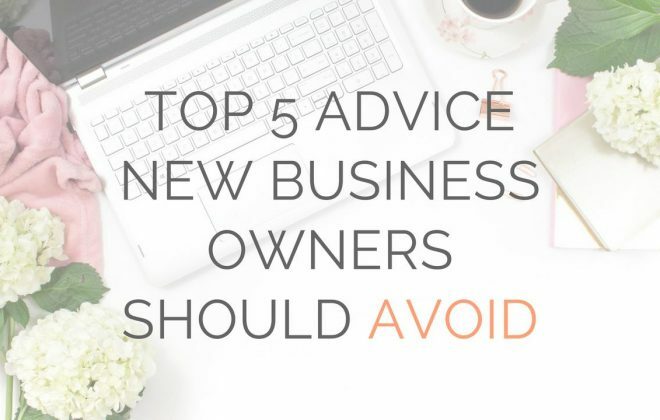 I know, it feels like you’re ready to go out there and launch your business or implement these new strategies to your existing business. Well, that may be, but we still have some important things left to consider, like the $$$ that will allow you to get them done. This section is where we consider the money required to set up your business from scratch, continue operating your business, and how much you’ll spend to produce and market your products. If you haven’t launched your business yet, consider how much capital you need initially to set it up. How much money can you get and from where? Have you secured or do you expect to secure any loans? Do you have any funds from your investors? Any other sources of capital? Write down how much you have or can obtain and from where. Take this moment to think about all expenses required to set up your business in terms of the premises, admin expenses, opening inventory, advertising and marketing, and don’t forget, working capital (amount needed for day-to-day operations). A business plan generally includes a balance sheet, which shows your business’s assets and liabilities at a certain point in time. Assets include cash, accounts receivable, inventory, investments, property, and so on. Liabilities may include accounts and interests payable, wages payable, loans, mortgage, and shareholders’ equity. For a full balance sheet template, download our Excel sheet or PDF form. Below are two of the most essential financial statements to consider for your business. Let’s talk about profit and loss. A profit and loss (P&L) statement summarises your revenues, cost of goods and expenses incurred in a given period – monthly, quarterly or annually. Consider the expected or actual overall annual figures. For example, how much revenue have you raised last financial (or calendar) year or how much do you expect to raise in the coming year? How much did it cost or do you expect to cost to produce the goods? For a full P&L statement template, download our profit & loss package in Excel and PDF, which includes a 12-month template as well as a 3-year template. Don’t forget about the cash flow. A cash flow statement is simply a financial statement showing the cash flows into and out of your business, normally on a monthly basis. It’s important to update it regularly to keep on top of your current finances. You can download our full cash flow templates in Excel and PDF. Now that you’ve laid out everything there is to know about your startup or existing business and its current state, this section is where you write out your goals and milestones to carry out the things you mentioned so far. You can consider the big-picture long-term goals, short-term goals, as well as a more comprehensive action plan. Consider where you want to take your business to in the future. What does your business look like in 5 years? 10 years? 20 years? List your long-term goals and briefly state what needs to be in place in order to meet your goals. What does your business look like in 1 year? 6 months? 1 month? List your short-term goals and briefly state what needs to be in place in order to meet your goals. Think of milestones as the objectives that must be achieved before you can reach your short-term and long-term goals. For example, if your long-term goal is to sell 5,000 products in a month, you may want to first tick off 500 monthly product sales, then 2,000, then 3,500. What are the milestones for your goals? Considering your goals, list your milestones and the expected due date. In a real business plan, this is where you would attach all the supporting documents that you referred to throughout the plan. Just as a practice, list the documents you’ll need to gather and prepare to include in your business when you write one. For more templates to use as your supporting documents, check out our collection of templates! Congratulations, you are now one step closer to being a new business owner or becoming an even better one than you already are! Next step, complete your very own full business plan using the information you gathered in this workbook. How did you find this guide post? Share below and let us know! Also, don't forget to check out our library of free and paid templates and resources right here. They're continuously getting updated so check back often to see what's new! Or even better, subscribe to our mailing list below to get notified when we add more templates and helpful content like this post!